IT'S TIME FOR THE MAIN EVENT! Be stupefied as King Crown Jr, Tomahawk Slamson, The Other, and the high-flying El Heroe face off in the STEEL CAGE! But where's Joe Somiano?! Didn't he set the world on fire with his ferocious tenacity and heart?!?! Not really. He's backstage like a chump, trying to figure out how to win the SPKO fans over. WHAT A LOSER! But wait! Who is Romeo Colossus?! Does that ex-baseball superstar really think he can just waltz into Super Pro K.O. and be the ultimate wrestling champion?!? Not if Joe can help it! 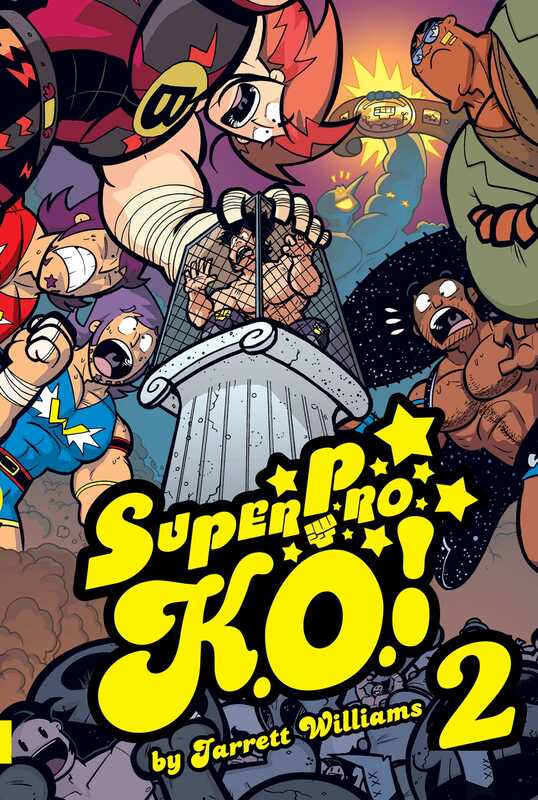 Find out who goes the distance in this second volume of the high-flying, kick dropping, pile driving, high-octane wrestling series, SUPER PRO K.O. !